Khloe Kardashian and Kendall Jenner booed mercilessly at the Clippers game in Los Angeles. They have close to 100 million adoring fans and followers combined on social media. But on Friday, Khloe Kardashian, 30, and stepsister Kendall Jenner, 17, were heckled by a packed arena of 20,000 basketball fans at the Staples Center when the Los Angeles Clippers took on the Houston Rockets for game 3 of the NBA post-season match-up. 'Everyone booed!' a spectator told Dailymail.com when the Keeping Up With The Kardashians stars were broadcasted on the venue's jumbotron. Khloe was once a welcoming face at the basketball arena when her estranged husband Lamar Odom was a starring player for the team, but now the audience reception seems to be completely opposite. 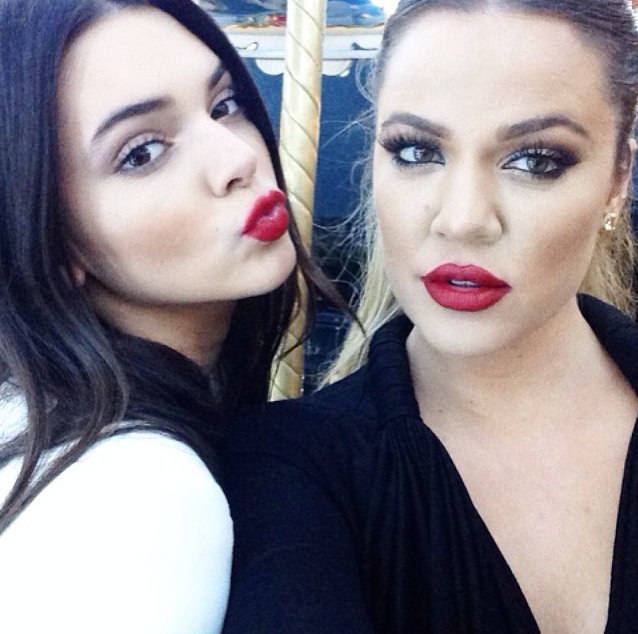 'Khloe and Kendall were shown on camera to get fans cheering and waving,' the source explained. The crowd booed so loudly that the cameraman quickly cut away to a different section where both Floyd Mayweather and Snoop Dogg were sitting in the front row at the game.